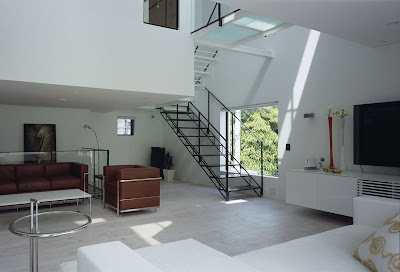 When one plans to build a house he always has certain prerequisites about how he wants the things to be in his home. The richer you get the fancier the prerequisites become, though for most people like us it's the not the prerequisites but limited financial resources which determines our choice. 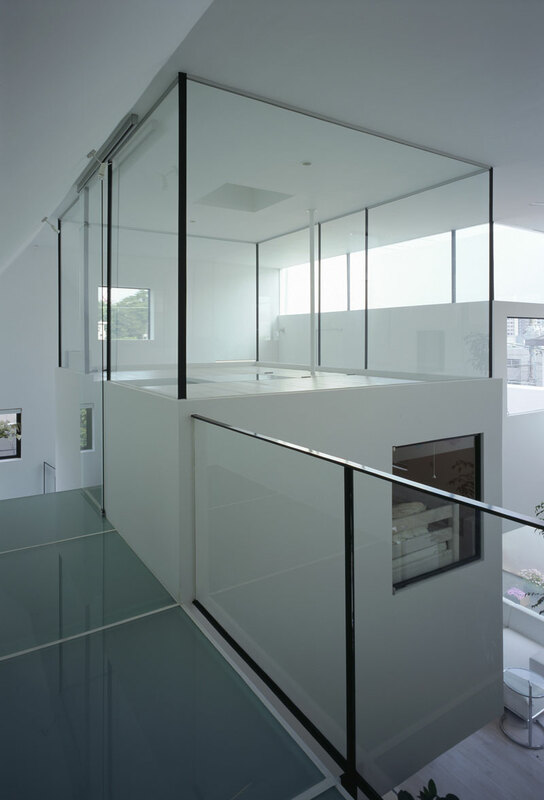 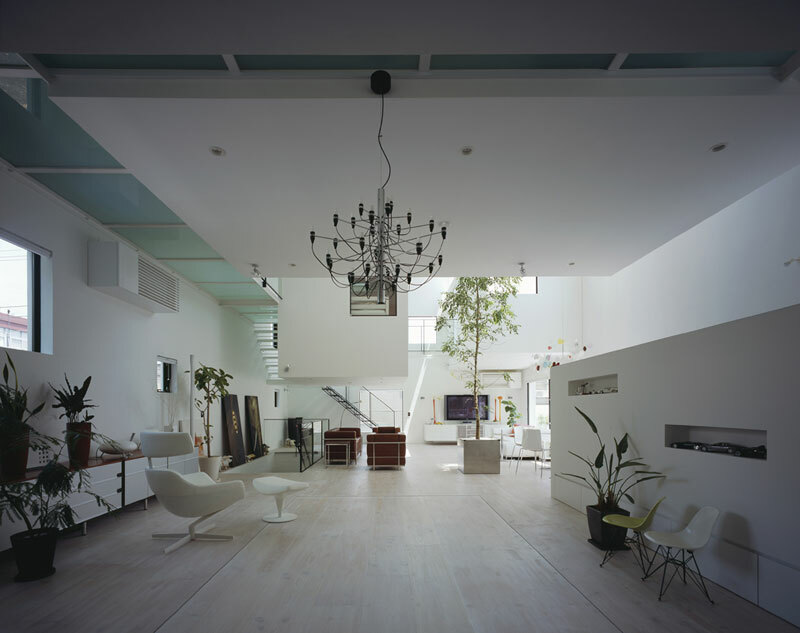 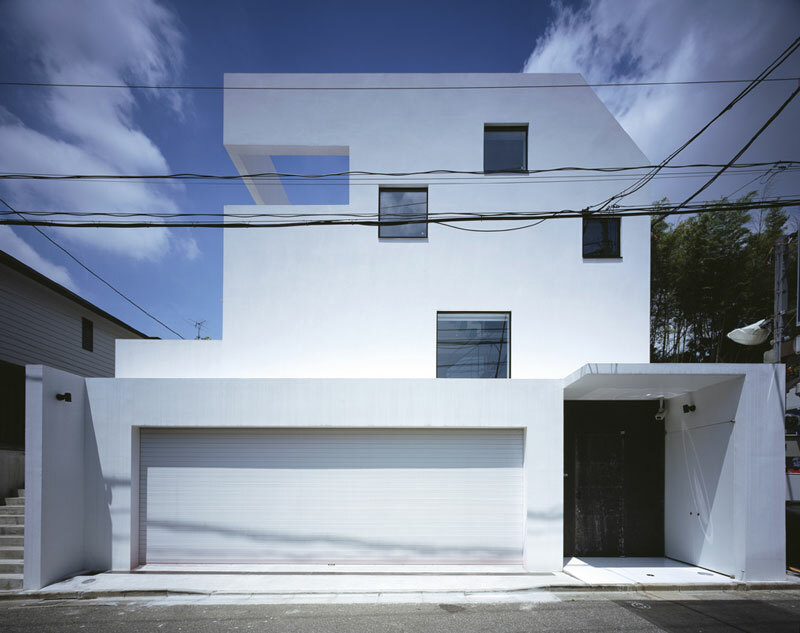 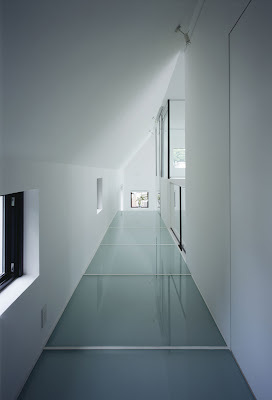 While designing KRE House (nine-car garage house) the client had two prerequisites for architect Takuya Tsuchida. 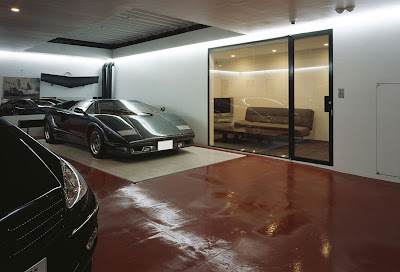 The first one was that the house needs to have a nine car garage, and added to this was the possibility of viewing one of the cars from the living room. 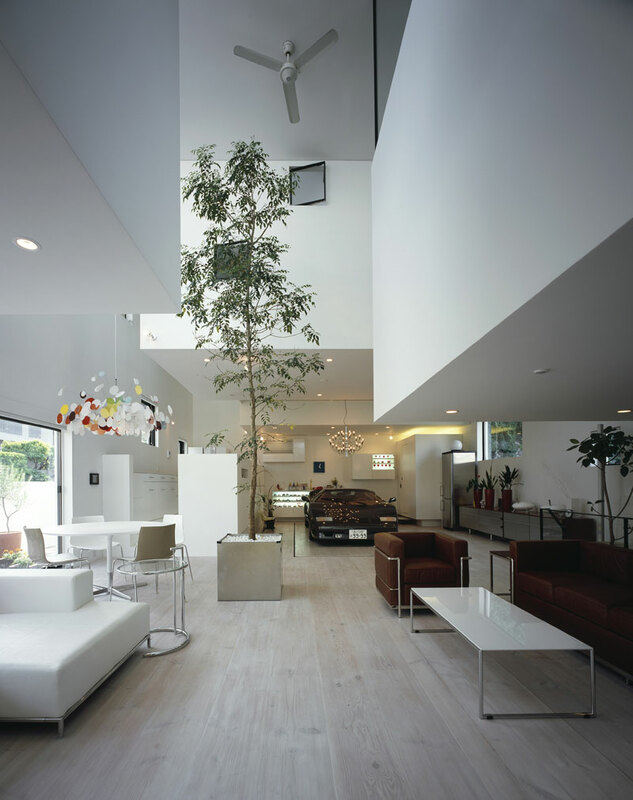 The other one was that a tall tree was to be placed inside the house. 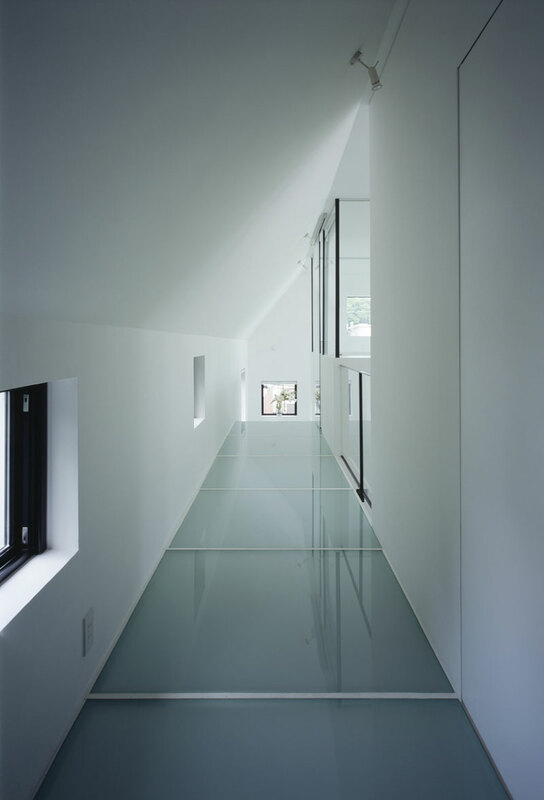 Tsuchida had to come up with a design keeping in view the two prerequisites with only 2000 square feet at his disposal in the posh Shirokane area of Tokyo. And he came up with an interesting design as per the requirement of the client. 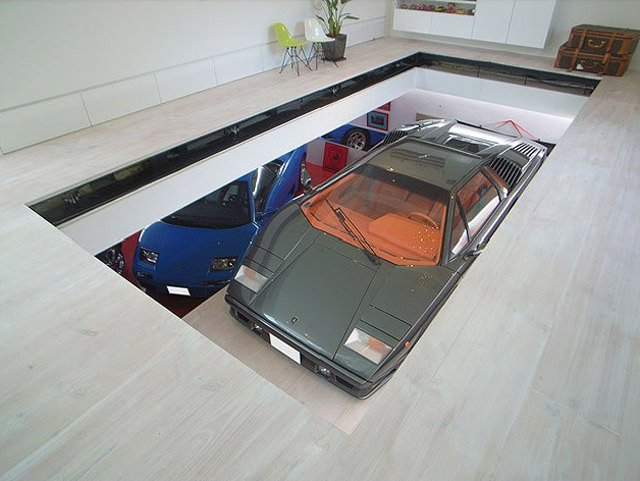 The car elevator in KRE House reminds us of the 'Parking Underneath The Garden' that enables to move the car from the garage to the living room.